Wondershare MTS Converter is an easy-to-use video converting software. It enables you to convert camcorder or camera files in MTS format to any video formats, including AVI, WMV, MP4, MKV and more. Audio extraction is also supported. This professional video converter gives the adequately supporting for devices like Apple iPhone/iPad/iPod, Sony PSP/PS3, Android phones like HTC and more. 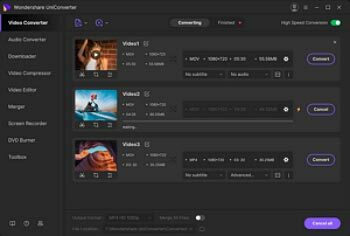 First, import MTS files from your camcorder or camera to your computer. To do this, you need to run this MTS converter first and then click Add Files button under Convert tab to import MTS files from the computer. 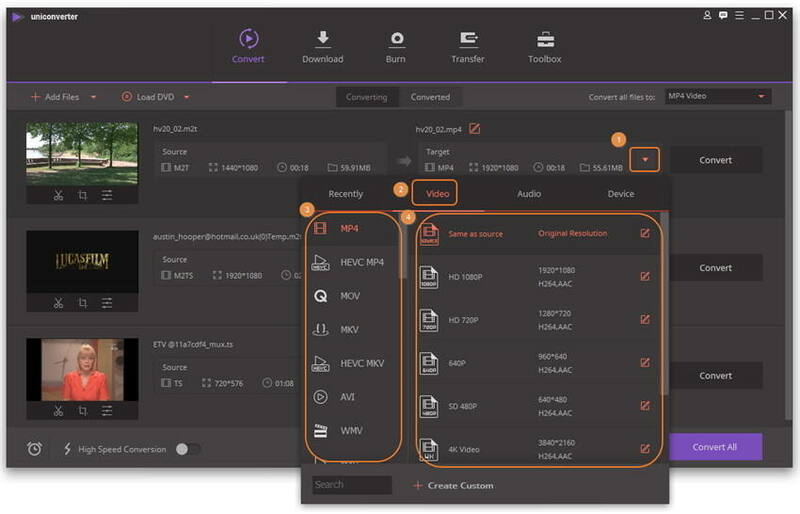 Click the icon in the Target section to get a drop-down list, where offers a huge variety of supported output formats neatly categorized into Recently, Video, Audio and Devie. Just select any format or device you want to convert your MTS files to. If you want to edit or retouch your MTS footage files, such as crop, split, merge videos and add video effects etc, you can directly use click the editing icons under the video thumbnail. 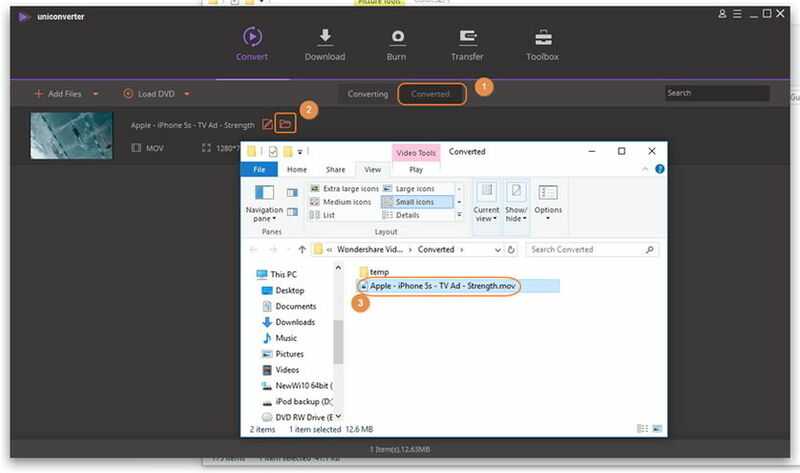 Crop: Drag a rectangular dotted box to select the screen area of the video you want. Instantly, you can see the video enlarged visual effect in the right preview window. Trim: Drag and drop the two sliders at the bottom to choose the segment you want, and then hit scissor icon and OK button. In this way, you can remove any clip you don't want. Watermark: Add image or text watermarks to make your video personalized. Effect: Provide you with dozens of cool effects that you can apply to the video. Subtitle: Adding subtitle files is allowed by this program. Hit the Convert button in the lower right corner hand of this MTS Video Converter's interface to convert MTS files. Immediately, you can see this app is starting converting your MTS video files with a purple progress bar showing. 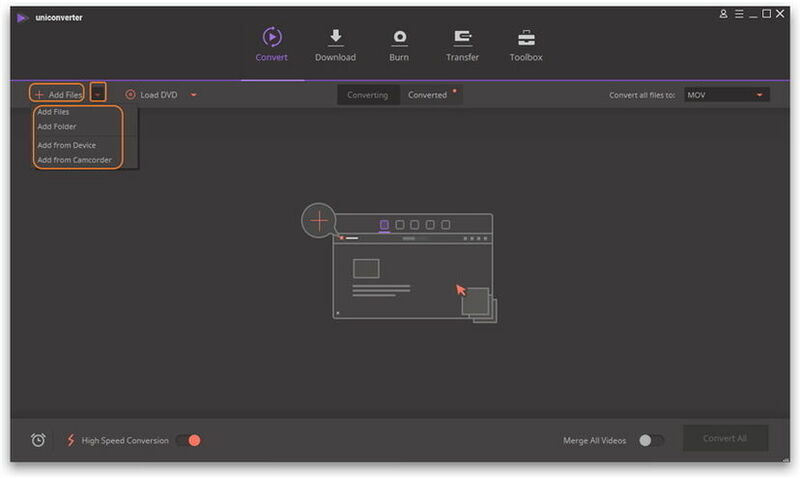 This app will help you finish video conversion a few minutes later. After conversion, just switch to the Converted tab and click click file folder icon to find the output files for enjoyment. 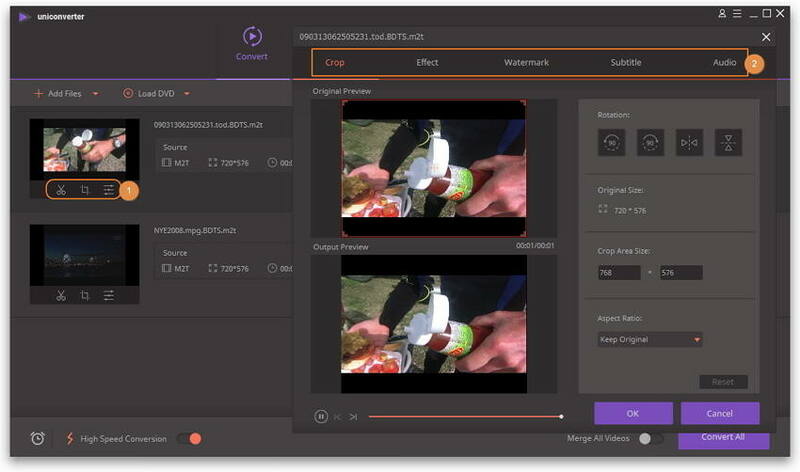 Enhance videos with edit functions – You can crop video clips, merge several MTS files into one, add your own watermarks (text/image), apply video effects to improve your entertainment. Convert Panasonic MTS M2TS Files to Any Format : If you have recorded a lot of videos with your Panasonic camcorder, you may want to convert them for more uses. Just with a few simple clicks, you can convert your Panasonic files to any format you want in very high video quality. Convert Canon MTS M2TS Files to Any Format : Canon MTS M2TS files can't be directly played on most applications or devices. If you want to use these files more widely, you can learn how to convert Canon M2TS/MTS files to almost any format or device easily.